Smart Security is the best and most convenient protection for your home. Add cameras for even more security and awareness. 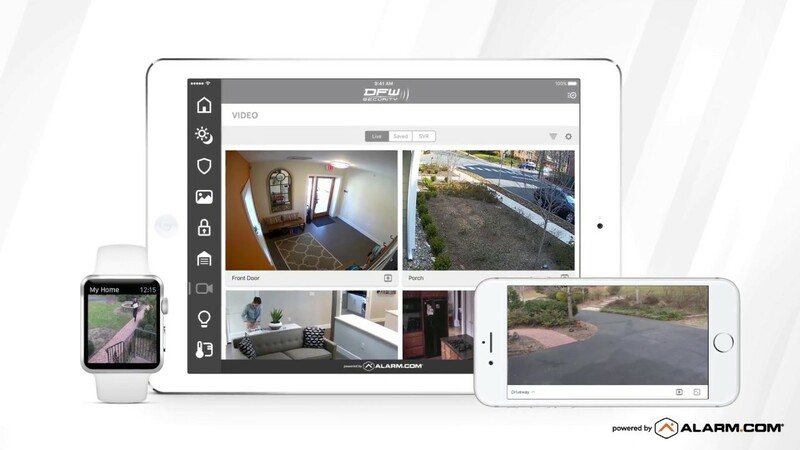 DFW Security’s video analytics service uses artificial intelligence to instantly make sense of what your cameras see, identifying an object in your driveway as a person, animal or vehicle. Security cameras are only as good as the platform they run on. Our smart cameras do more with live streaming, smart recording, custom notifications, and video analytics with artificial intelligence to identify moving objects as cars, animals or people. Add a whole new level to your home security with smart cameras to meet your every need. All of our special packages include professional installation, programming and training to make sure your home is as safe and smart as can be. SMART Cameras on Sale Now! © 2019 DFW Security. All rights reserved. *Prices vary according to equipment, package, credit rating, ownership status, payment method, down payment and contract length. Call for a customized quote.